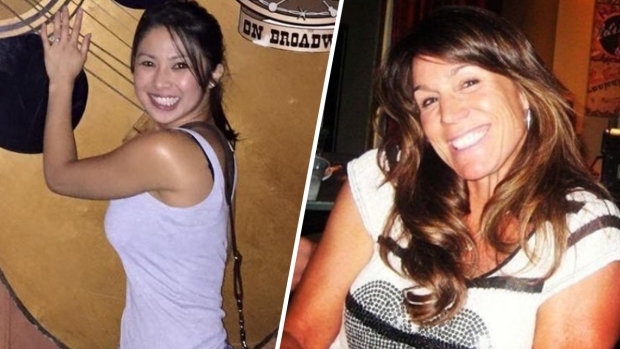 Three women from the Bay Area were among the 59 people who were killed during the mass shooting at a country music festival in Las Vegas Sunday night. Raj Mathai reports. Three women from the Bay Area were among the 59 people who were killed during the mass shooting at a country music festival in Las Vegas Sunday night. A family member on Tuesday wrote on Facebook that Novato resident Stacee Etcheber, who went missing after the gunman opened fire on thousands of concertgoers, had died. Etcheber was married to a San Francisco police officer who was also at the concert and jumped in to aid the wounded. "It's with a heavy heart and deep sorrow, Stacee Etcheber has passed away," Al Etcheber, Stacee Etcheber's brother-in-law, wrote. "Please pray for our family during this difficult time." 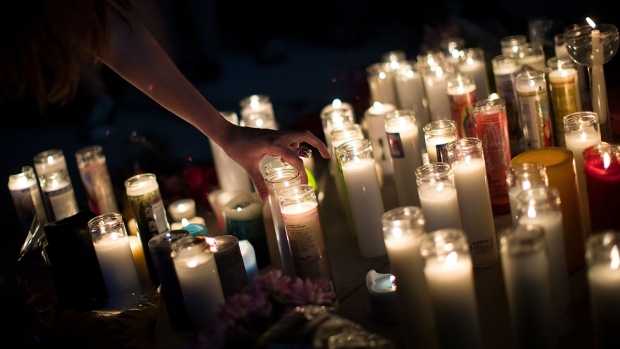 Michelle Vo, a 2003 graduate of San Jose's Independence High School, was also among those killed. The 32-year-old previously worked as an administrative assistant in Mountain View before moving to Southern California. She was described as being "a sweet soul" with a bright smile. Later Tuesday, NBC Bay Area learned a third Bay Area woman, Denise Cohen, of San Ramon, also was killed in the shooting, according to Facebook post by the California High School Alumni Association. Cohen graduated from Cal High in 1977. Stacee Etcheber was instructed by her husband to run when the gunman, who was perched on the 32nd floor of the Mandalay Bay Casino and Hotel, unleashed a barrage of bullets in the direction of the open concert venue. Stacee Etcheber's husband Vincent stayed behind to help the shooting victims, but when he later tried to find his wife, he was never able to spot her amid the chaos, according to the San Francisco Police Officers' Association. Stacee Etcheber did not have her cellphone with her during the concert, and she had handed her ID to her husband when the concert began. 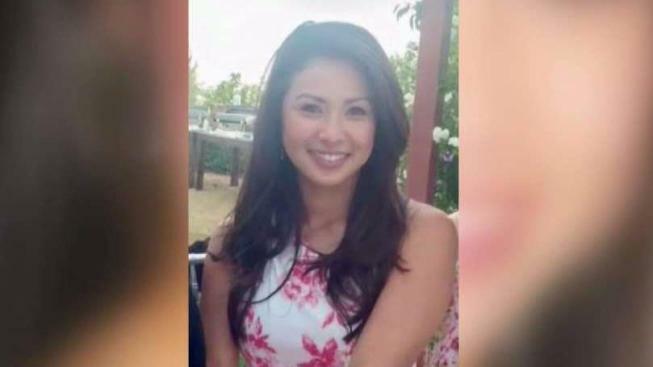 Michelle Vo, a 2003 graduate of San Jose's Independence High School, was among those killed in the Las Vegas concert shooting. Raj Mathai reports. San Francisco Police Chief William Scott wrote in a statement that Stacee Etcheber "was taken in a senseless act of violence" while her husband "heroically rushed to aid shooting victims." Al Etcheber indicated that his sister-in-law, who worked as a hair stylist in Marin County, leaves behind two children. "We will dearly miss you," Al Etcheber wrote on his Facebook post. 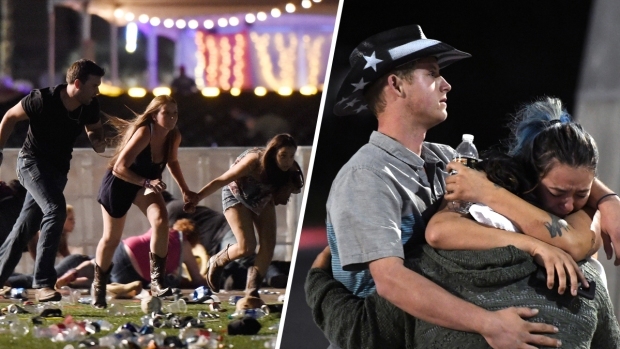 In addition to the 59 people who were killed during the deadliest mass shooting in modern U.S. history, 527 people were also wounded. The gunman, who has been identified as 64-year-old Stephen Paddock, killed himself before officers stormed the hotel room he was staying in.